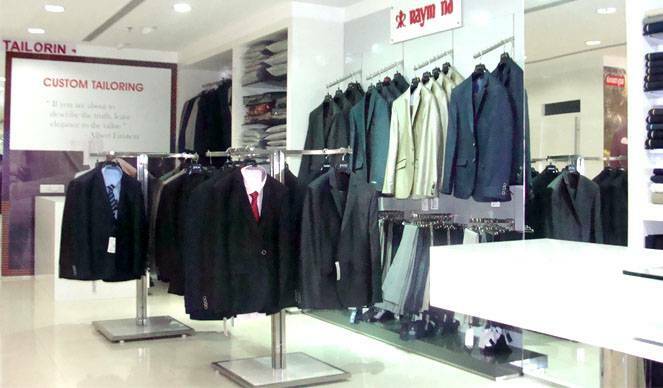 "The complete man" , the tagline of countrywide favorite clothing brand Raymond which is one of the hallmarks associated with JK family caters complete shop for Top- class professionals. Our product is enough to tell about us ,no other description needed.Your cast and your attire speaks about your class at first sight impression and we are here to groom you and bring best out of your personality.Be it first professional interview or any gala occasion in our country of festivals India,we are the one's who make you "The Complete Man". Raymond is a prominent name in suiting shirting industry and is most preferred because we offer textile of comfort, style and class .We are famed in winter wears and we are India's leading exports in fabrics ,our goods being exported to more than 55 countries across the world .We offer wide inter mixture of clothing includIng corporate wear ,casual wear , suiting ,winter wear blankets, uniform fabrics, travel and hangout wear.dressy and trendy shirts ,trousers and elegant accessories,suits,blazers and pants are our lime light asset stocks. The Raymond Shop is a premium retail store offering complete wardrobe solutions for men which includes top-of-the-line brands - Raymond, Raymond Premium Apparel, Park Avenue, ColorPlus, Parx and Notting Hill. At the Celebration mall store of Raymond , we avail you with pure cotton and blended cotton shirt and with pure wool and blended wool sweaters. We do good finishing on cloths and you can find finest quality of checks ,strips ,plain and other well suited design patterns.Every of our fabric has unique color and you can find rich combo of colors and texture at our showroom. A perfect clothing in itself which brings completeness into your identity and all those of our commodities are available at our Celebration Mall Raymond's store . The store is located at shop no. 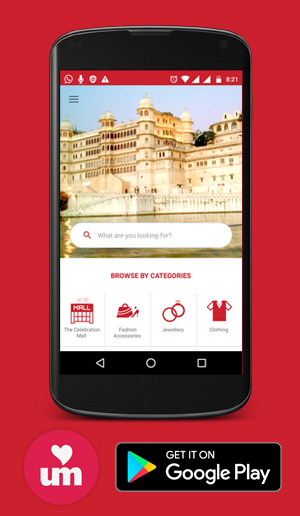 14, ground floor, The Celebration Mall, Udaipur.